With mirrorless cameras now on the market, DSLRs have had some heavy competition especially since mirrorless cameras are so compact and light. Well, Nikon just shifted the game a bit with its release of the D3500, an upgraded version of the D3400. This new model has become Nikon’s cheapest, simplest, and lightest DSLR camera yet. For consumers looking for an entry-level camera, you have found your match. And if you might still be leaning towards a mirrorless camera, the Nikon D3500 has a good built-in viewfinder tha can boost up the price in mirrorless cameras. If you are looking to grow your photography skills, the D3500 is definitely a camera to look into especially to those on a tight budget. 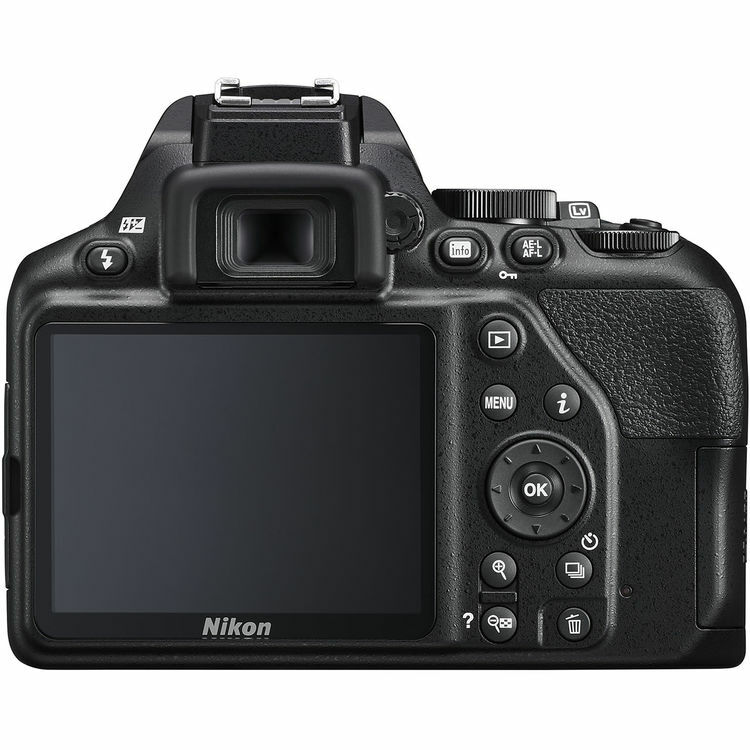 As mentioned, the D3500 is the lightest model Nikon has released and on top of that, it is quite compact for an SLR. With the body and lens attached, you are looking at 20.1 ounces so just about 1.3 pounds. The great thing about the camera is the grip which is more substantial when holding it. For those beginners, it will make holding the camera easier while also fitting comfortably in your hand. And since the grip is larger, it makes the camera more balanced when shooting with heavier or longer lenses. The layout of the buttons is on the rear which is convenient for the user as buttons won’t be accidentally pressed. It also makes navigating the camera easier. In regards to the rear screen, it is not touch-sensitive so for those who have used touch screens before, it might get some getting used to. You will have to rely on the buttons and dials to control the screen. It is also a fixed screen so it does not move. This can be a bit tedious for those taking tricky angled photos and not being able to see what is in the frame. But for its price, there has to be some compromise. Even with its fixed screen and lack of being touch-sensitive, the display is top-notch with sharp, clear details and colors. There is also an information display that shows you the graphical representation of the ISO settings, shutter speed, and lens aperture. But when looking through the viewfinder, you won’t see all the information you get with an electronic viewfinder on mirrorless cameras. This is quite normal but on the bright side, the display is natural and pleasing. The D3500 does not have WiFi connectivity but it does have Bluetooth. This allows you to transfer images through Nikon’s SnapBridge feature. Instead of constantly having to connect, you can set up SnapBridge to automatically transfer photos as you shoot. Many cameras have 4K video quality, which can often be found in mirrorless cameras. Unfortunately, the D3500 does not have this quality as it only captures in Full HD. But it’s not terrible as the camera can shoot 60/50p, or 20/25p and 24p, with the content looking smooth and clear. Additionationally, there is no microphone port so the audio you get from the built-in microphone is all you get. If videography is a priority for you then the D3500 might not be the camera you are looking for. When purchasing the D3500, you can buy the body alone or opt for the ‘kit’ lens which is an 18-55mm lens. Most will end up choosing this lens as it will come in a bundle and cost less than buying it on its own. The lens itself is decent and offers the standard zoom range that many entry-level cameras come with. You can use this for wide-angle landscape shots or a slight telephone lens, which is ideal for portraits. One thing to pay attention to is which 18-55mm lens you are buying, as there are two types. Make sure you buy the lens with Vibrations Reductions, which will often be abbreviated as ‘VR’ in the name. This will allow for sharper shots. Opting for this lens will cost a bit more but worth your coin. Nikon has been known to offer world-class image quality over its competitors. In the D3500, for an entry-level camera, it has an incredible sensor that has been improved slightly from the D3400. But take note that the D3400 had one of the best sensors in its category which is the reason for the minor improvements. The camera has a DX (APS-C) image sensor which captures images at 24MP resolution. Although, it is updated and powered with an improved image processor. Once you reach ISO 12,800, the noise increases and the details drop. The ISO range goes up to 25,600 but turns images blurry and they have little detail. The Nikon D3500 is suitable for any beginner or photo enthusiast looking to improve in photography. There aren’t many changes from the previous model but it definitely is cheaper, which is great since it has many of the same qualities. This camera is specifically ideal for those only looking to shoot stills as the video quality isn’t top-of-the-line.